Events are an incredible way to take your business to the next level! 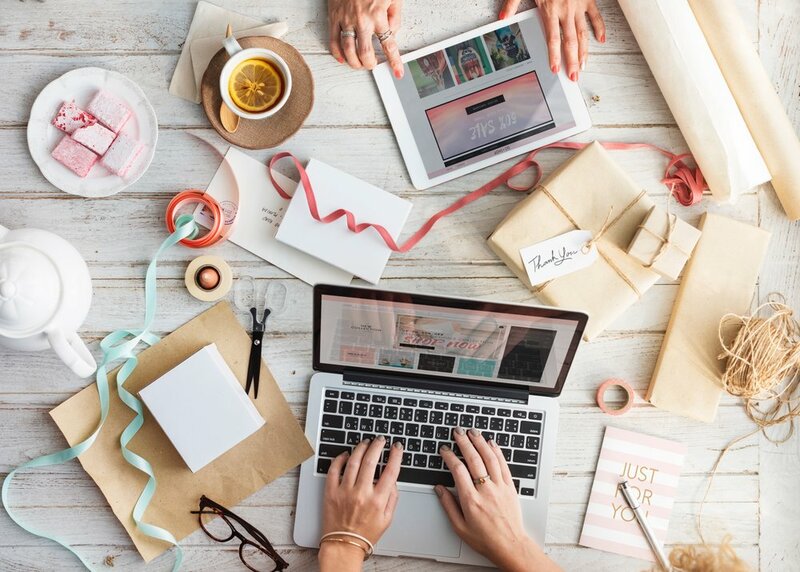 From a workshop or webinar to showcase your expertise, to a retreat for your followers that are ready to foster deeper, more meaningful relationships - events can make it happen. One of my favorite parts of events is getting to create a community around the occasion. Events are just fancy gatherings with purpose, and to gather you’ve gotta have a group! And what’s one of the best ways to create an epic, connection fueled gathering? Well it’s to make the experience interactive! To create an environment that encourages and fosters participation from others so that the space can shift and flow and become one that is co-created by all in attendance (while still maintaining the purpose of the event!). 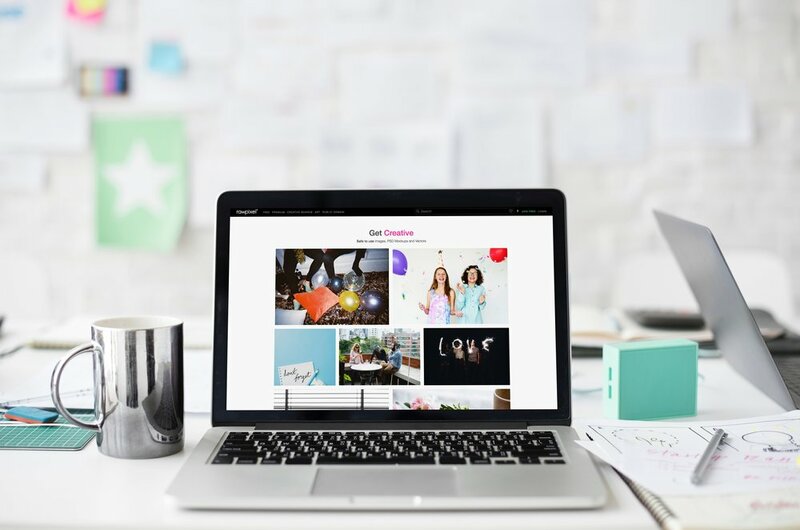 It’s a magical moment, and today we’re chatting about how to use quizzes in your event to make the magical moment happen. Quizzes are sooo much more than how your 7th grade science teacher could measure whether or not you did last night’s reading assignment. They can actually hold a lot of power (and insight!) for your event! Let’s chat about when to use them, what platform to use, and some tips on how to make them successful. Quizzes are a great way to get your audience involved in the process from beginning to end! Poll your audience beforehand about the planning process, during the event to make the experience less of a monologue and more of a conversation, and after the event as a way to test your audience’s knowledge (and the effectiveness of your teaching!) or as a way of surveying them about their experience (testimonials anyone?). Want some question examples? I got you, girl! What are you struggling with the most in your business right now? Where would you like to improve the most? What type of event makes your heart sing? Do you prefer smaller, more intimate gatherings or larger events? On a scale of 1-5, how useful did you find the event? Which picture describes how you felt coming into the event? And how about after? There’s quite a few quizzing platforms out there, and some are better than others depending on your needs. Google Forms: a great free option if you just need to gather data for individuals, don’t need aggregate information, and are ok with not sending feedback or results to your audience. 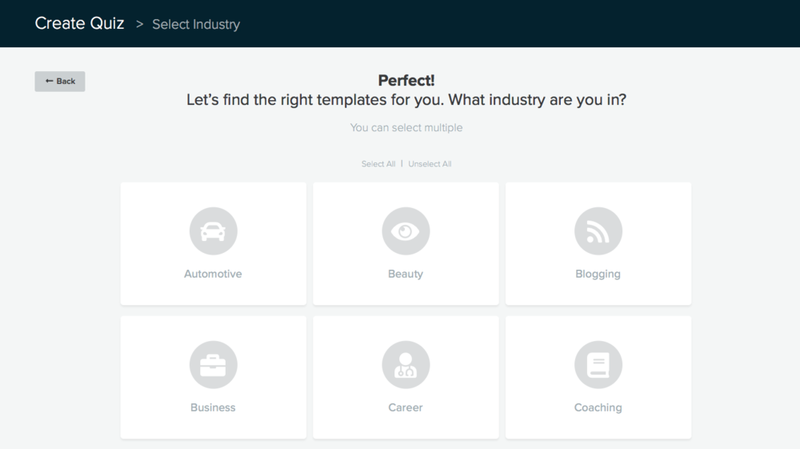 Typeform: also a free option that’s good if you need to survey and just get aggregate data. 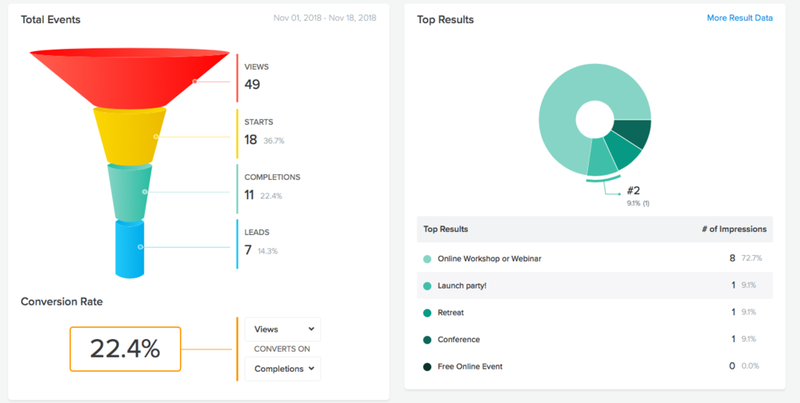 Interact: my favorite platform for when you want to give your audience a customized result and are looking for detailed analytics! You can find a step by step guide on how to make a quiz here. 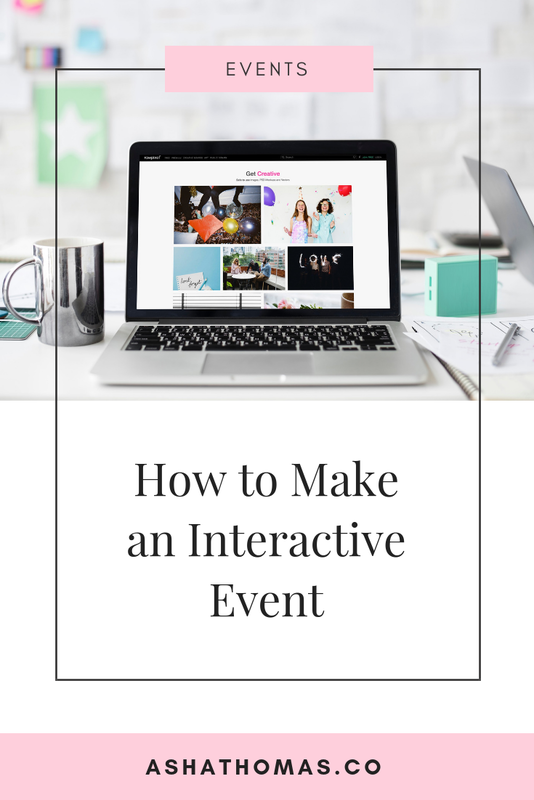 But because I know you ladies love a good breakdown, here’s 8 bonus tips for how to use Interact to take your event to the next level. 1.Interact can be used in a lot of different ways! Don’t forget that it’s not just about quizzing your audience during the event (a great way to give customized advice!). You can quiz them before to help them decide what track to take at a conference, or after to test how effective your new teaching method is in your latest workshop or webinar. I used Interact because I wanted to help my audience figure out what event was right for their business (a question I get A LOT). 2. Use the templates! Interact makes it sooo easy to make your quiz because they have some pretty bomb templates! 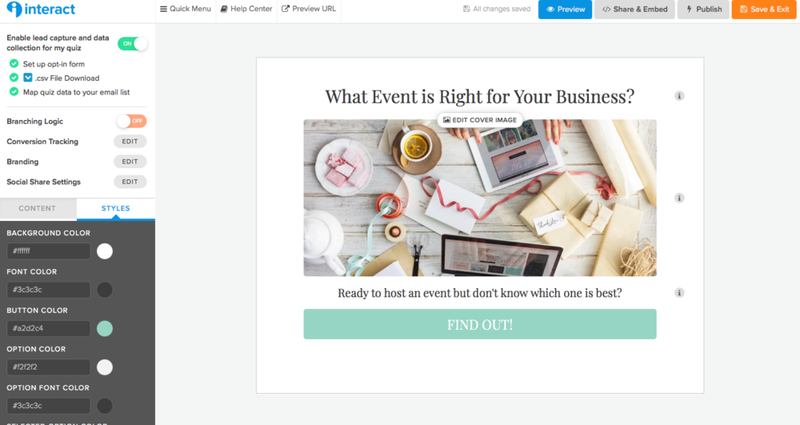 You can even search by your business category to find a template that’ll work for your event. 3. Quiz types: Think about the type of result you want to give audience. Is it a scored quiz? Or maybe you want to group them into a personality type? Great thing about Interact, you can set your quiz up to do either of those (and more!) I went with personality type because I wanted to give my audience results based on a specific event. 4. Vary your questions: knew I wanted to use pictures to break up some of the text in my quiz (plus it helps with quiz retention!). Interact makes it super easy to add in pictures, even for the quiz answers! 6. Integration: the great thing about Interact is that you can use it to connect to your email provider. When I used Convertkit, I was able to segment my lists based on the fact that they took the quiz and give them more personalized responses. Now I just download the CSV so I can upload it into Squarespace. 7. Promote that ish! 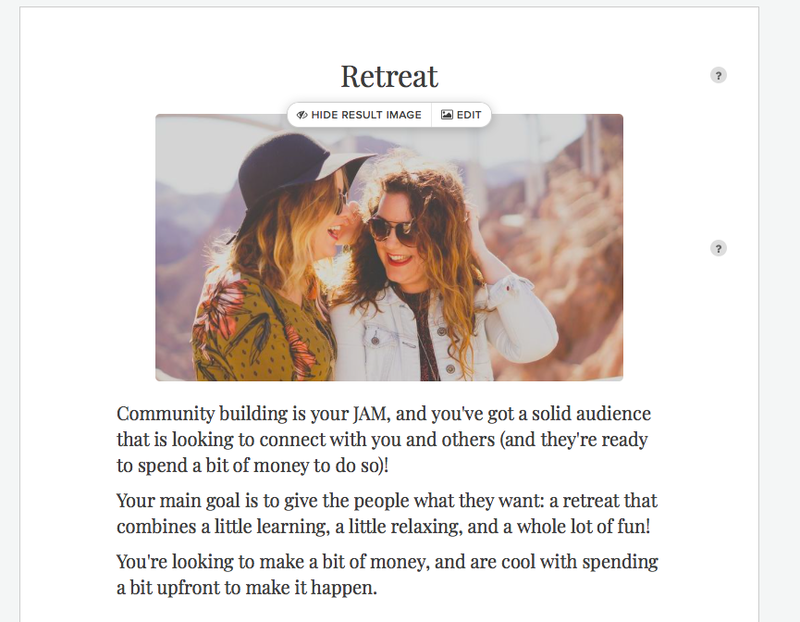 : Place your quiz on your website, as a popup, or even as an announcement bar (Interact makes it easy to integrate in a variety of ways), and don’t forget to promote it on your social media handles as well! Bonus tip: Quizzes are a great thing to run as Facebook Ads. Find out more info on how to run your quiz as a Facebook Ad here. 8. Analyze: my favorite part of the quiz - the analytics! It’s still running, but my results helped me see what kind of help my audience needs and what event they’re most interested in running. That way I can tailor my services, posts, and content to topics that will help them the most! Not to mention it was a great lead magnet and an amazing way to grow my email list! Wanna try out Interact for yourself? Sign up here! And want to see the quiz I created? Check it out here! Pick a pin to save this for later!